I tried to think about how and why this is happening. I know that there is a lot of anger, resentment and revenge directed at us…but why? To understand this means taking the time to learn the history of the region (the Middle East), and whatever role we’ve had in shaping that history over the decades. Our intervention has often been in our own national interests…namely, the pursuit of oil. To put it broadly, we have frequently propped up dictators who were helpful to us in pursuit of our main source of energy. People suffered as a consequence of our actions and still do and the younger generation feels we are somewhat to blame for their misery. I know this is a gross oversimplification because my son, who is well versed in the history of the region, understands all the intricacies of our presence there, past and present. A former student at the Georgetown University School of Foreign Service, he took several courses that delved deeply into the history, economics and culture of the Middle East and our political involvement. When he starts to go into detail about what is happening and why, I must confess I quickly lose the thread of what he is saying even though I consider myself a motivated listener. Months before the Arab Spring events exploded, he took a trip to Lebanon, Jordan and Syria. He has a close friend, a journalist based in Beirut, whom he visited there. Before going he assured us that Syria had a stable government and that he would be very safe. About two months after he returned, all hell broke loose. He is extremely distressed by the conflict in the Middle East because, overall, he enjoyed being amongst most of the people he met there and was very moved by their ancient history and archaeological artifacts. He spoke of the hospitality he encountered wherever he visited. So that leads me back to why did this change happen and what can be done about it? I don’t have any answers; I only have my own thoughts to share. 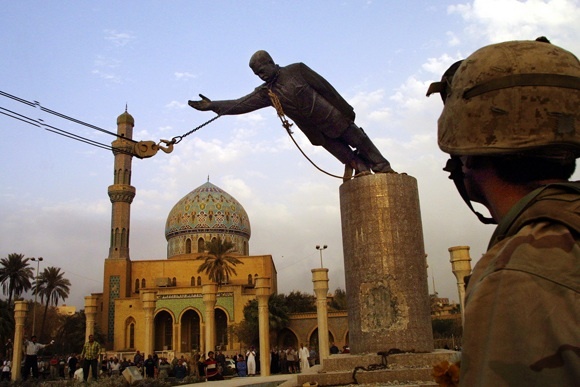 I believe that our intervention in Iraq was a major mistake in that we upset a delicate balance of nations who have deep grievances toward one another as well as toward us, while meanwhile Bin Laden roamed free. In a sense, we did open Pandora’s box. I also believe that if not for our intervention, perhaps some other event might have triggered the same results. The Middle East has been a tinderbox ready to burst into flames for as long as anyone can remember. I, for one, wish I knew more about its history so I could better understand the events taking place. I believe that we Americans as a rule don’t make the best effort to understand much that happens beyond our shores. But now the “beyond our shores” is coming to us. And it’s getting closer and closer. We owe it to ourselves to become better informed, to demand more of the media than the rabble-rousing and entertainment that is currently dominating the news. After all, lives are at stake both here and abroad. I believe we need to learn to stop thinking of hate and prejudice as a solution; it only breeds more of the same. The world is shrinking and that will never change. Many of us are teachers, active or retired. What can we do? With such a multicultural student population as we now have in the United States, we must broaden our own horizons, learn more about other cultures, engage in constructive discussions and dialogue, and provide all our students with a role model for working toward compassion and dignity for those who are different from us. This is a tall order; but we can do it. The way I see it, it’s no longer a choice. You bring up so many things to think about. The whole mess is overwhelming, but it does need to be understood. I agree w/ much that you say, but you are much more tactful than am I. Simply, George W. Bush got it wrong, so very wrong, and his self-serving lies have devastated the Middle East. Our protection and alliance w/ the Shaw of Iran back in the 70s set the stage for the current problems, ad the U.S. Missed opportunities to make amends. We don’t learn from history. Our country has a history of colonialism grounded in taking from others to serve ourselves, and we need look no further than manifest destiny to see what motivates our greed. I knew you were going to address his piece today. I knew you would write something very thought provoking as this, and arrive at an idea that all of us on this forum can put into practice today. But that is just the start. Without looking at our oil dependent economy (and I am not just talking about energy here. Clothing. Plastics. Everything that is a product and by-product of oil..), without making big changes here, things will never change. Without looking at the root of the anger, nothing changes. Without changing ourselves, nothing happens. And we are obligated to look at our own contributions to this hot mess, one that seems insurmountable. Barbara, thanks for a provocative piece ont he subject. I enjoyed reading it very much. And thanks for the recognition as well. Thank you for this. Our nation’s historical stance towards the world has had low points driven by fear and the desire to protect what is ours. It seems that understanding others, as your son has, should be our next steps. As teachers, we have the ability to bring about this understanding. Very provocative post. Thank you for sharing. I agree that we must be more informed if we are going to influence or change what’s happening. America needs to wake up. The hate is so evil. I wonder, worry about the future. We need to remember that everyone can make a difference in how people are treated. We must mindful of that everyday and hope the light spreads one child at a time. It seems almost too late for the so-called grown-ups who keep talking about building walls and making America great again through continued prejudice and violence. I thought we figured that out in WWII. Guess not! 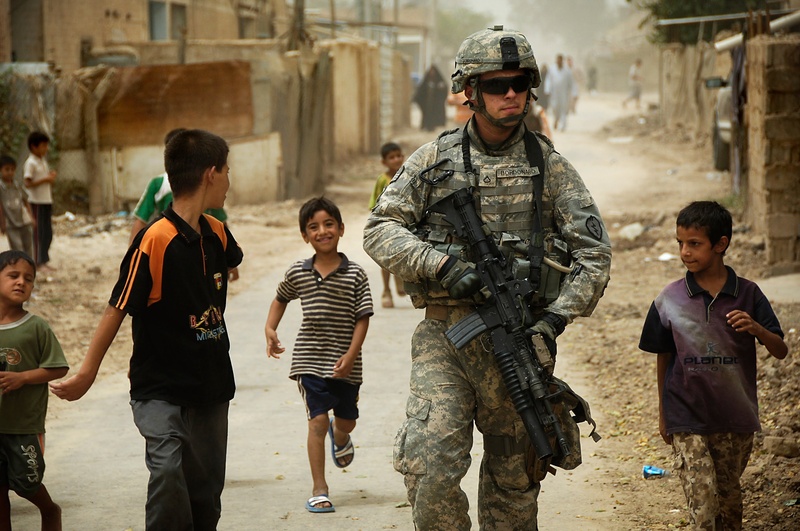 There are 7 billion people in the world, and millions in the middle east, and a couple of terrorists here and there. Surely that means something, before starting to talk about all of “them” and all of “us.” The “clash of cultures” is fun and provocative but people are basically people. America’s particular national hubris is that we are responsible for and could (and should) control everything everywhere. As you noted, the world is far more complex than that, and often nobody is in control and nothing can be made right, whatever right may be. Being callous, we have by some statistics nearly 90 gun deaths a day in this country _ if Belgian terrorists struck 3 times a day they’d get close to that total. Not to mention car deaths. How many fatal drug overdoses? How many refugees around the world die each day? I wonder, in effect, if we let ourselves get distracted from the real problems by the flashy ones. I believe we need to learn to stop thinking of hate and prejudice as a solution; it only breeds more of the same. You think we would have learned that by now based on what has been going on right here in America. We are either willfully ignorant as a people or very slow learners. Hate and prejudice and building a wall will not make this country great again. I think the terror in Brussels is on everyones’ mind today. You bring up so many strong points, I just sometimes think the monsters . . . the terrorists can’t be dealt with like normal people because they are not human—humans would not act as they do. Thank you for your slice. Unfortunately they are humans…who’ve been raised on misery and hate. Read what Malala has to say. who knows better than she how this hate is perpetuated and how it must be stopped. It is very complex, and US involvement goes back very far. I am sad for the deaths of so many in Brussels, but also sad that the event supports Trump’s continuing his playing into people’s fears. It’s a mess for sure. Yes, I am sure this is playing right into Trump’s hands, but we must resolve to stay informed to respectfully disagree with all those who choose ignorance. Your slice was so was a good one to read today. There are no easy answers. Fear and hate have provoked acts of terror and war for millenia. With our global society and access to information we are able to witness it with an intensity never before seen. Imagine if there was social media during the rise of the Third Reich, if there were cell phone images from inside concentration camps, if Armenians being massacred by Turks were broadcast on CNN…Shining a spotlight on these atrocities is only a first step. Your suggestions for students were spot on. They are important next steps. They say that every girl that gets an education is one less victim and that she contributes to the eventual stability of the country. This seems a goal worth pursuing and one we can act on. “I believe we need to learn to stop thinking of hate and prejudice as a solution; it only breeds more of the same.” Spot on! This is very well thought out and raises many questions. Unfortunately, I don’t have any answers. It seems that many times those in power have their own agendas for what they do and don’t willingly share them. They are, however, quick to point the finger of blame at those who don’t agree with them. And ordinary people like us are left to clean up the mess. No answers from me, just a shared sense of horror and despair. It does induce despair, but we can’t give in to it. Previous Previous post: Multitasking: The Bane or the Benefit of Modern Life?